Yeah…it’s totally Wednesday afternoon and I’m posting a recipe for the first time this week. I’m sorry. I’ve totally been MIA…and for no good reason. Can you please forgive me? I really like you a lot. 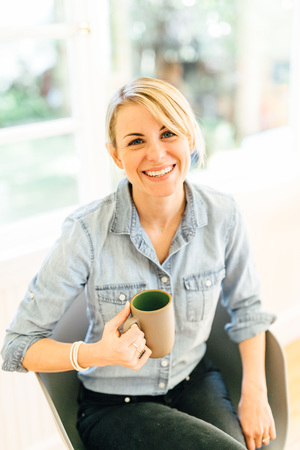 You make me smile when I’m feeling blue and give me really good ideas on what to read next (which reminds me—I have two amazingly awesome book reviews coming your way!). Sooooo…whatyasay? Can we still be friends? Pretty please? How about if I give you a slice of this rather outrageous blueberry tart? It’s vegan, gluten-free and takes very minimal kitchen skills…making it perfect for spontaneous summer desserts where you really don’t feel like getting your hands that dirty. I know the feeling. The crust is made of nothing but a little almond meal, maple syrup and canola oil and the filling…! Well, the filling is pure fresh blueberries with a healthy splash of blueberry juice…plus more maple syrup for good measure. World Wide Web, if there’s anything I know it’s that you can never have too much maple syrup. For reals. I loved this tart so much that I made it the “fruit component” of my lunch. If a hummus wrap and blueberry tart isn’t the most balanced lunch around, I honestly don’t know what is. If you’ve never tried baking with almond meal, give it a go! I promise you won’t be let down; it gives the crust a rather macaron-like texture that is simply addicting. So…..let’s be friends again? I’ll slice the tart and you bring the booze make the tea. Afterward we can curl each others hair and talk about boys, cats and how to make the perfect pie crust. It’s gonna be grand. adapted from Clean Food <—super duper cookbook…check it out! Spray a nine inch springform tart pan with cooking spray. In a large bowl, combine all crust ingredients and mix with fingers until clumpy. Pour mixture into tart pan and press down to create crust. Bake for 20 minutes until golden brown. Meanwhile, combine 1/2 cup of the blueberry juice with the cornstarch and whisk well. Set aside. 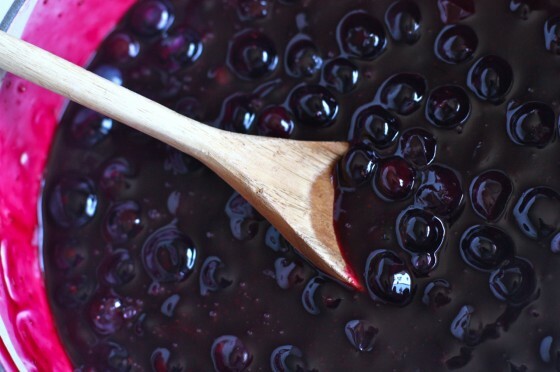 In a small saucepot, whisk together the other half cup of blueberry juice, 1 cup blueberries, maple syrup and lemon juice. Bring to a simmer and cook for 3 minutes. Slowly whisk in the juice/cornstarch mixture and keep whisking until mixture is thick. This will take about 6-8 minutes. Once thick, add the remaining blueberries and refrigerate until chilled and set—about 1-2 hours. Right before serving, scatter almond slivers on top and press down very gently. Drool. That looks so yummy. I need to get my hands on some almond meal and fresh blueberries NOW. I’m on my way with the booze…I mean tea…for two. What a gorgeous tart! And *cheers* to tan lines! Awesome looking! We all forgive you….. I’d be right over with booze and tea! Except that I would be jealous of your tan lines! 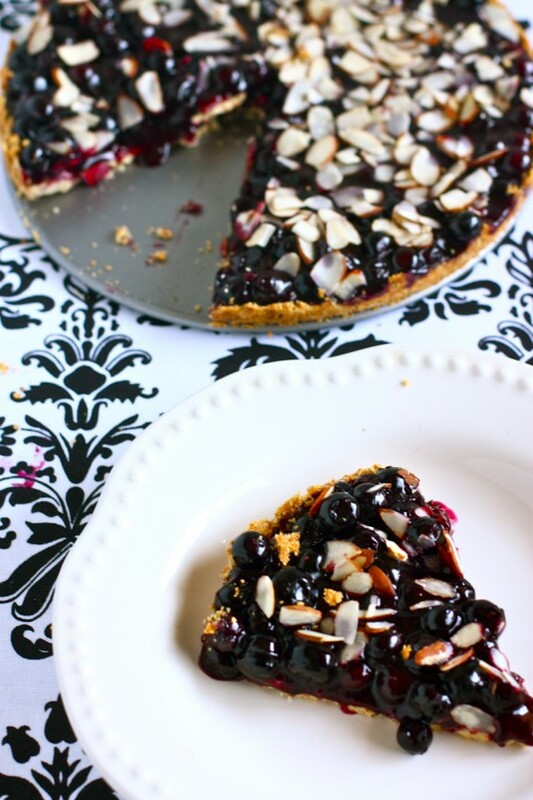 I LOVE blueberries and the tart looks so so good. I really enjoy your writing style, it’s light and funny and makes me smile. And it makes me want to bake. I am literally drooling all over my work desk right now! Printing this recipe and will make at first opportunity. It looks amazing! Thank you! Those look like the most delicious blueberries EVER! Yum! I MUST try! I’ve never used almond meal. I live nowhere near a Whole Foods or trader joe’s, so hopefully my local health food store carries it. You are so darn cute, Jenna! 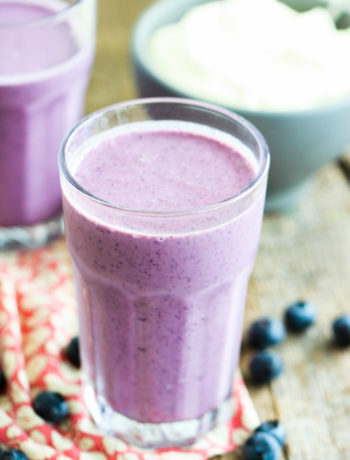 Looks devine…can’t get enough fresh blueberries these days! THe blueberries look SOO delicious! THeir color is so vivid! I’m so happy this is gluten-free. I’ll have to try this for my grandfather who’s a Maine blueberry lover. Wanted to add that I look unbaking with almond flour. Add in a couple medjool dates, and/or agave, and/or grind some oats in there too, and you have a raw/nobake, vegan, GF crust in about 5 seconds flat. It’s my go-to! But I am in love with those blueberries. Omg. Love the EASY recipe with beautiful results! That looks unbelievable! SO YUMMY! Those photos are ridiculously appetizing. Beautiful! YUM. What brand of blueberry juice do you use? Did you find that right in the juice aisle? Trader Joe’s…and yes, right in the juice aisle! Ooh, this looks so simple to put together! I may whip this baby up this wkend over at my boyfriend’s kitchen for him.. Yum! Those blueberries look adorable! They just make me smile! I WANT THAT. Bookmarking for the next potluck situation I find myself in. yum!!! 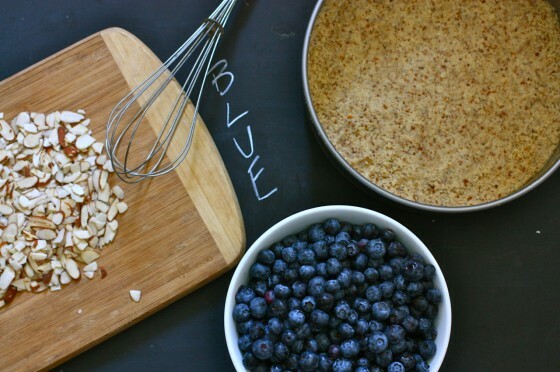 I make a blueberry crostada often, that reminds me of this recipe! Oh my. I have to do this. that looks fantastic! Extra points for being vegan. Have fun on your vacation, we all deserve them! Oh dear me. The blueberries look so juicy that they’re about to burst. I adore this, Jenna! I have the clean food cookbook 🙂 soo soo amazing. I believe we should be friends so I can stay for this bomb looking dessert. I cannot wait to try making it myself!! Blueberry pie is my favorite so this is like mouth watering right now. WHOA! That’s looks SOOOOO good. Thanks! This looks amazing and I’m not even a huge blueberry fan. I’ll happily stay for dessert! And I wouldn’t mind the dinners you cook either! wow. that looks amazing. my hub just planted about 6 (!) blueberry bushes in our front yard, so i think this recipe will be utilized often. thanks for the recipe! my husband and I are doing a trial vegan month and this is perfect for dessert. i am thinking about buying clean food/clean start as well. he is pretty sure he won’t be touching animal protein for a while after reading The China Study. oh, and your vacation looked awesome. don’t apologize for taking a hiatus. Maybe strawberries and peanuts? Sort of like a PBJ taste? Yummm I LOVE almonds, I wish my stomach would cooperate. Read a book this afternoon and want to recommend it to you …… it is so well written and beautiful. HEAVEN IS FOR REAL – A little boys astounding story of his trip to heaven and back. A page turner you will read from cover to cover when you pick it up ! Almond meal? 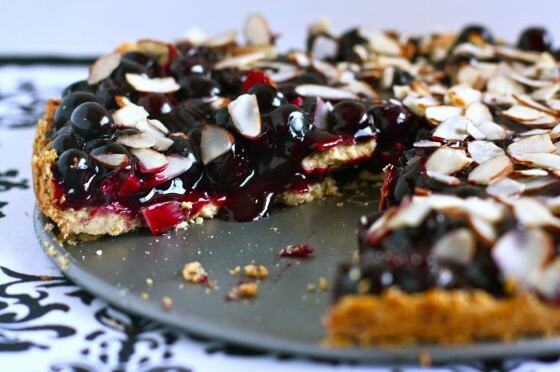 Must get some asap and make this tart. Oh my goodness. This looks so good it’s ridiculous. Look at all those blueberries…def. 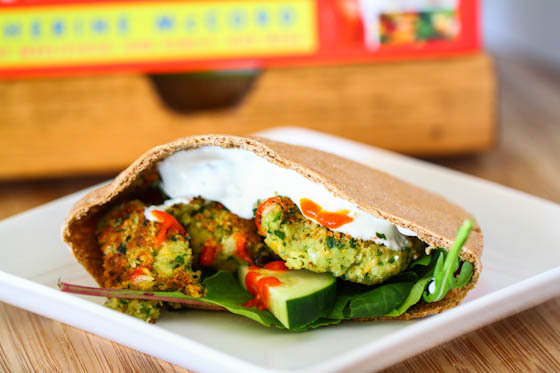 the perfect side to a hummus wrap! You’re just awesome. Really, you are. Dude. You were on vacation. No recipe posting is necessary/expected. Even if you hadn’t been on vacation, though, anything involving blueberries=instant major forgiveness. Mmmmmm. This looks great. I want to drink that bowl of blueberries! By the way, I read Violets of March and loved it! Thanks for the suggestion! I’ve got an unused bag of almond meal, a box of cornstarch, and a zeal for delicious summer blueberries. Looking forward to trying this soon! The picture is a serious optical illusion with the black/white table cloth! I couldn’t focus at first! Too funny. Glad you had a blast in Tahoe! Plan on going to Wolfdales tomorrow. Will toast to you 🙂 Come back soon! This is perfect!! I am trying to go vegan and i feel like this recipe will really help!! 🙂 thank you!!! Also, could I make my own almond meal? Or does it make more sense to buy it? 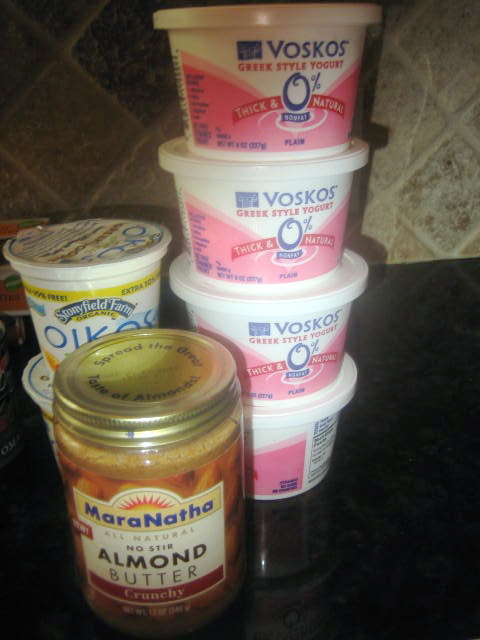 Ps… I just realized I own Clean Food… Can’t believe I glanced over this little gem! WAHWAH WEE WAH! What a knock-out! More vegan stuff please! (Not that I’m vegan, I just interested to see how vegan recipes work around all those limitations). I’ve experimented with alternative baking and in addition to almond meal, coconut flour/flakes usually add a great texture to the crust too. This is similar sto something my Swedish mother in law makes, but I’ve never seen a vegan version before! It looks fantastic! those blueberries are so insanely plump and juicy i might die. NEED. Yummmm. I love the color! 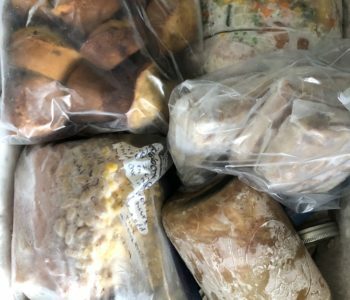 By the way – are you going gluten-free now? And I was wondering how this recipe differs from the original in the cookbook since you said it was “adapted” – what substituions? Thanks! this looks amazing! I love blueberry juice as well! it’s so yummy! Wow, this is perfect timing! I have been searching for Paleo pie recipes to bring to my Crossfit picnic this weekend. So far I hadn’t found anything that looks very appetizing, but this tart looks delicious! I will be making it tomorrow for sure (I will have to sub out for the oil/cornstarch though). Thank you so much! I’m not normally a fan of blueberries, I like them, but I like other fruit so much better, but I just can’t take my eyes off these photos. This looks sooooooooo good! FYI, I have just returned from the farmers’ market, laden with blueberries, and plan to make this tart as soon as I get home from work. Thanks! PERFECT TIMING! I have been in love over the top enraptured with blueberries lately. I’ve been making blueberry popsicles, adding blueberries to my smoothies, and popping them like candy. 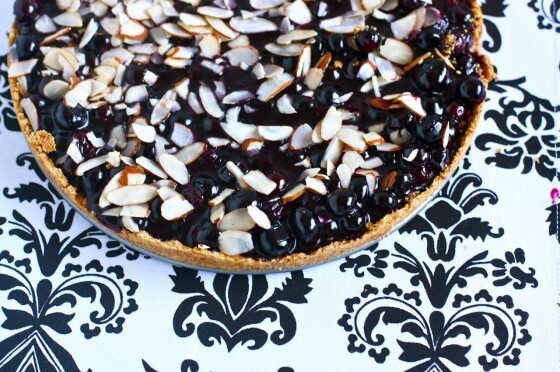 A blueberry tart will be just the thing to take it to another level. I really don’t do well on lots of sugar, so I’m glad this uses maple syrup instead. I’ve just got back from the organic store in Bahrain and we stocked up on my favorite brand of all natural organic maple syrup. This will be the perfect way to showcase it! And I LOVE cooking with almond meal. This one is really genius, Jenna. Way to go! Love that this recipe is so simple, but yet looks so amazing! Yum! OK, that comment didn’t go through anyway. 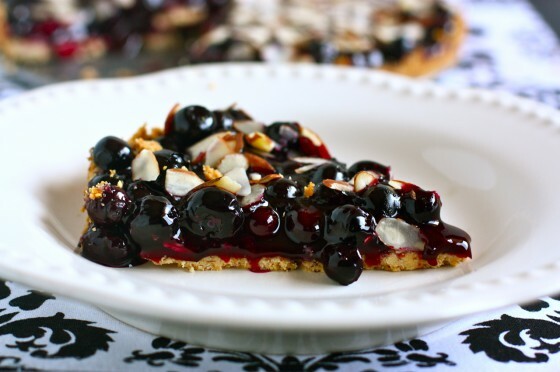 LOVE the tart, almond meal, blueberries and pure maple syrup are some of the best things on the planet. Heavenly looking tart! The filling makes my mouth water! I messed up the crust. What kind of consistence should the crust have? 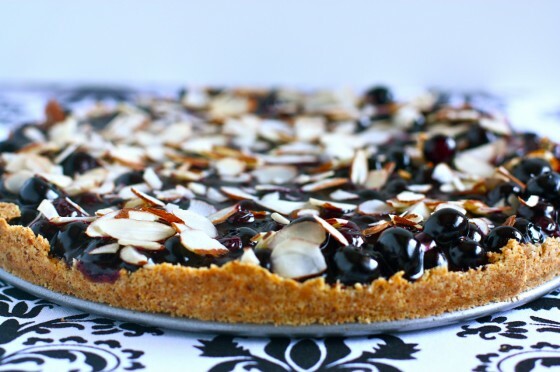 Dessert All Star – Blueberry Almond Tart (vegan and gluten free!) | Live. Eat. Be. 1. made my own almond meal from blanched almonds – turned out a little odd and started getting wet. If I do this next time, I will try toasting the almonds first to see if that dries them out a bit. 2. 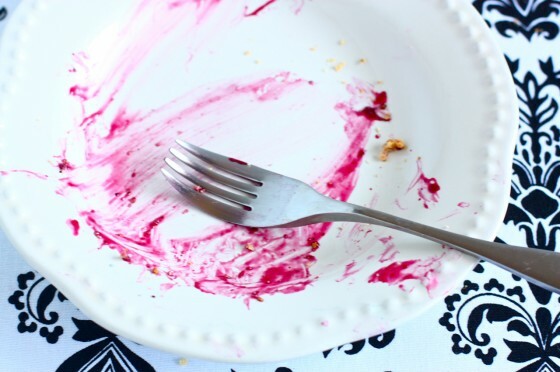 I subbed molasses for maple syrup in the crust and berry mixture – not a bad substitution. I think the maple syrup would have added a lot more sweetness, but I thought both turned out just fine! All in all, it turned out great and I would definitely make it again! • Cornstarch – a refined starch that comes from corn. fructose would lead to metabolic syndrome and insulin resistance.